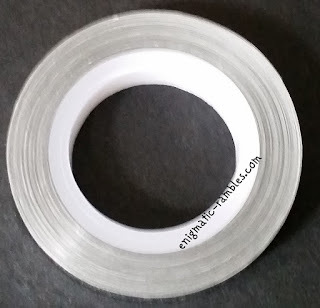 This is a roll of chevron striping tape, the roll of tape can be used as a stencil and be painted over or can be used as it is. It comes in six different colours, silver, white, black, gold, blue and red. The tape itself is very thin which means it sits on the nails well without sticking out. 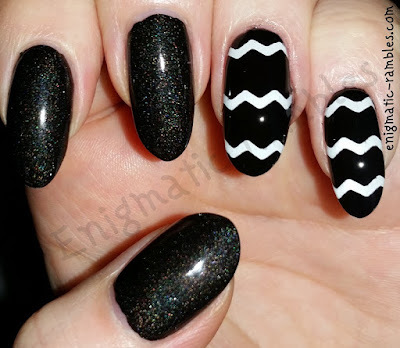 You can use them in both ways which I have or you could peel away the chevron shape and be left with the side parts to create your own chevron colours. 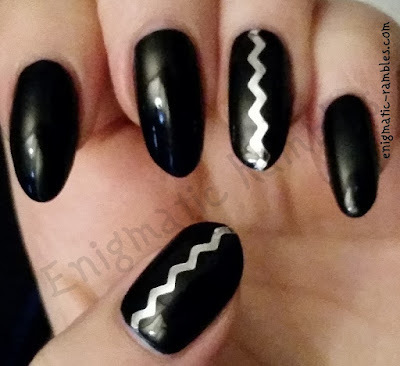 For these nails I used the tape as a stencil. Painting my nails with a base polish waiting until it was dry and then using the tape over top. Then after painting over with black polish I immediately removed the tape. Finally I cleaned up the edges of the nails. 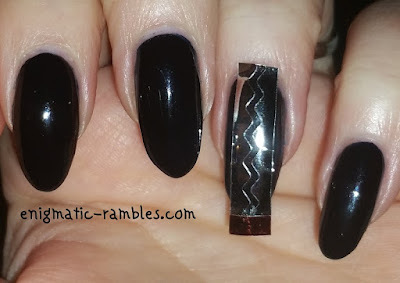 For the next nails I used the tape as it is for an accent nail, sticking the tape down to the nail and then removing the sides of the tape. Leaving behind an accent nail which I went on to top coat, to seal in the design. The final design I created using the tape was a half and half design. 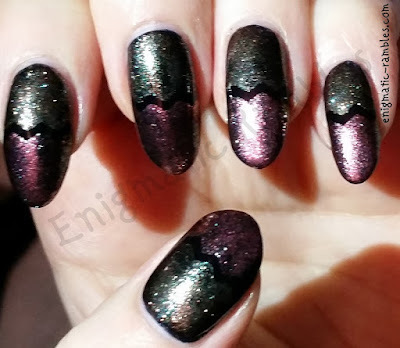 I used the tape across the centre of the nail and then painted one shimmer polish below and another above before removing the tape to create the following design. You can check out all of the new arrivals at BornPrettyStore here and what is currently most popular here.